The Event will take place at 12pm on Saturday 14th April 2018 & all proceeds go to local projects - Glen Neiphin Mens Shed and the Lahardane Tidy Towns Group. Start time 12pm & limited registration may be available on the day from 11am in Lahardane village. Individual entries are 30 Euro each or 25 Euro per person for a group of 4. Walk the mountain at your own pace, the average time would be about 4 hours to go Up & Over, suitable outdoor clothing required. 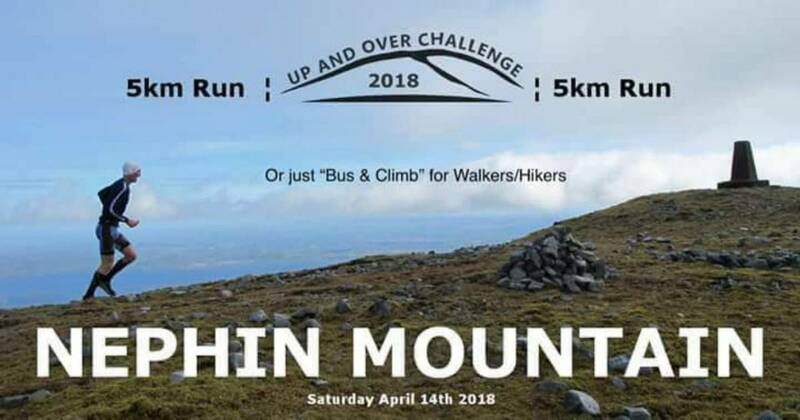 There will be a bus to the base of Nephin, and you will be collected from the other side. Run for the more energetic, 5k Run to the base, 4K Up & Over followed by another 5k Run back to Lahardane. Nephin at 806 mtrs or 2,644 feet is Ireland's highest standalone mountain, which means it is isolated & not part of a mountain range. Lahardane is also known for being Ireland's Titanic village & the Titanic park is free to view. Please contact Derek Davidson on 086 0504705 should you need any further details.